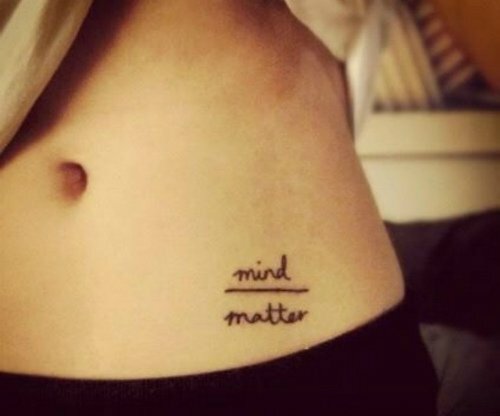 Are you inked? 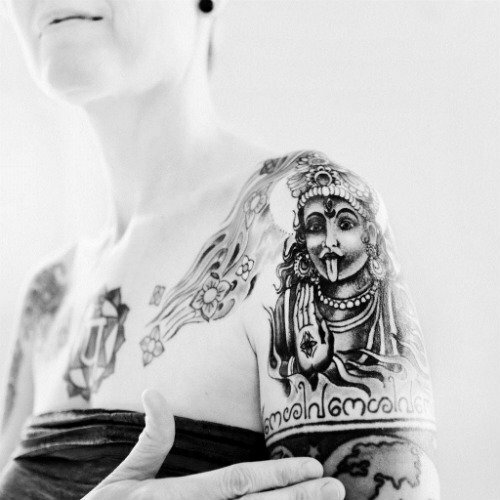 For some yogis, the body is a sacred vessel that mustn’t be tainted by earthly body art. 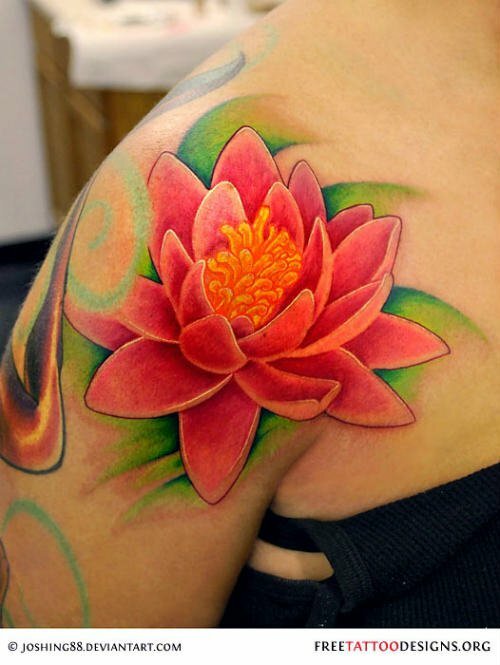 For others, anything goes – the skin becomes a canvas where they could show images, thoughts and symbols that inspire their practice and their life. 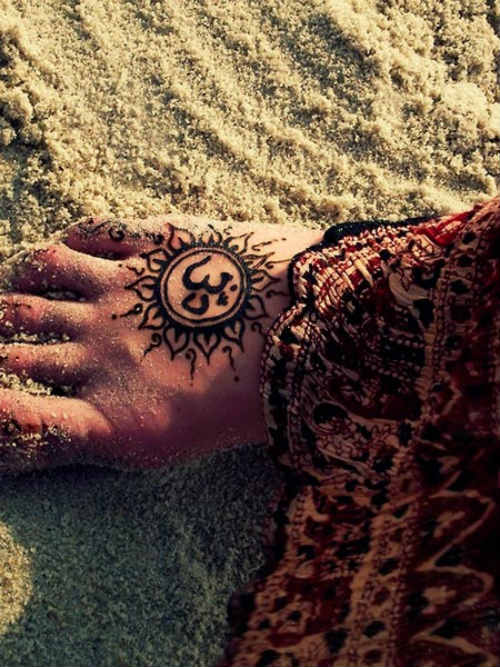 Whether it’s a tiny infinity symbol on the ankle, Namaste scrawled on the inner arm, or lotus flowers blooming bold across the chest, yoga tattoos are a way of celebrating love, devotion and commitment to all things yoga. The female goddess Kali symbolizes rebirth. That can be sweet and simple or bold and elaborate, just like us. 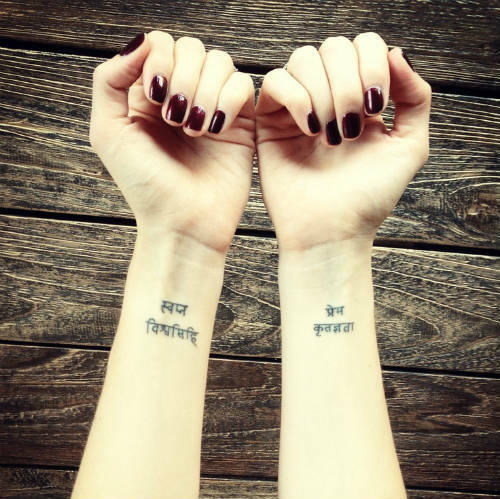 Four Sanskrit words on the arms: love, gratitude, dream, believe. 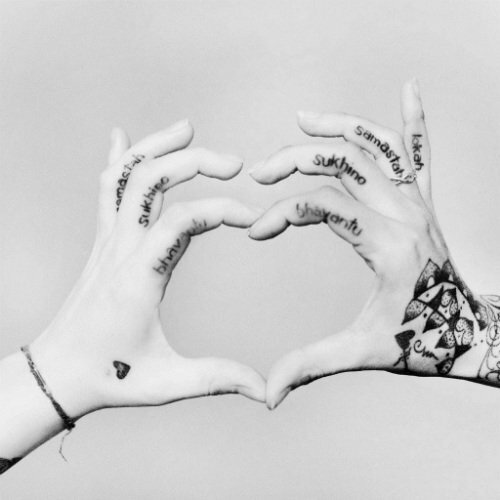 The tattooed hands of two lifelong friends and yogis. 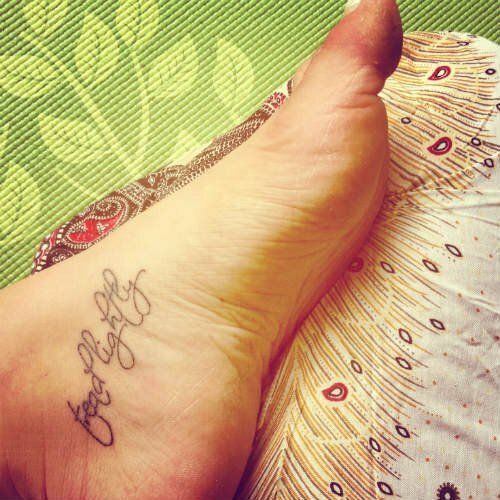 What are your thoughts on having your yoga mantra/ belief/ symbol inked on your skin? 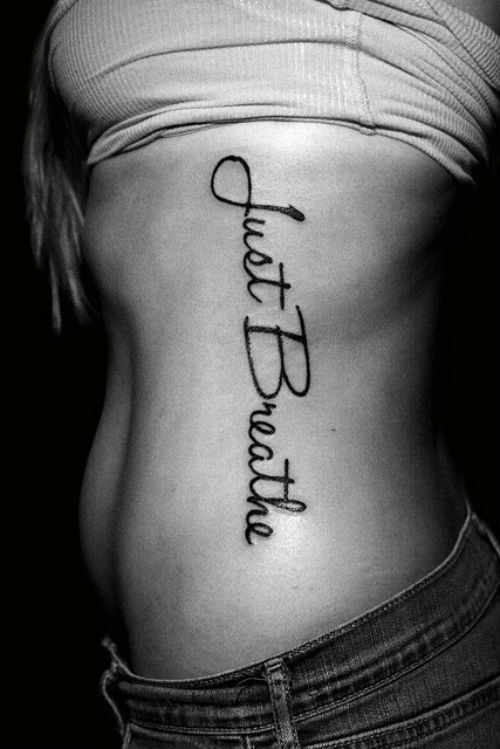 Do YOU have a yoga-inspired tattoo?